I’m Whatsapping my friend Ulises in Oakland. We’re comparing covers of our editions of the 2015 posthumous collection of Lucia Berlin’s short stories, A Manual for Cleaning Women. He’s not wrong. On the cover of my copy, Berlin’s portrait is almost offputtingly stylish. She gazes dreamily into the distance. Her lipstick and earrings are picked up and highlighted by the rose and cerulean of the title font. Publishers today know what they are doing when they paper Berlin’s stories with these radiant portraits, photographs taken by her former husband, the jazz musician and entrepreneur Buddy Berlin. Cleaning women do steal. Not the things people we work for are so nervous about. [ … ] We don’t want the change in the little ashtrays. Some lady at a bridge party somewhere started the rumor that to test the honesty of a cleaning woman you leave little rosebud ashtrays around with loose change in them, here and there. My solution to this is to always add a few pennies, even a dime. As a writer, you could say that Berlin goes around adding pennies and dimes to our readerly ashtrays. Berlin moved around a lot. Apart from New York City, she lived in Chile, Mexico and Oakland; Arizona, Idaho and Texas. She worked at different times as a teacher, a cleaning woman and an associate professor; in an emergency room and as a telephone switchboard operator. In her writing, she takes these places and jobs and says, Thank you. She does not count her change. They form the sets and circumstances of surprising, touching, often dark, and always wittily observed encounters. There is no place for meanness or pettiness in Berlin’s world. In 1960, she wrote: “I could have been a writer, but it would have been too hard to care more about what I saw and how I said it, than what I felt, what I was.” The stories she would go on to write were hard-won distillations and transformations of experience, unflinching and exalting, careful and generous. However, while it is clear that publishers know what they’re doing with editorial manoeuvres such as the foregrounding of Berlin’s face for the covers of A Manual for Cleaning Women and last year’s Welcome Home, the motivation and justification for publishing a fresh selection of Berlin stories last year is a little less transparent. 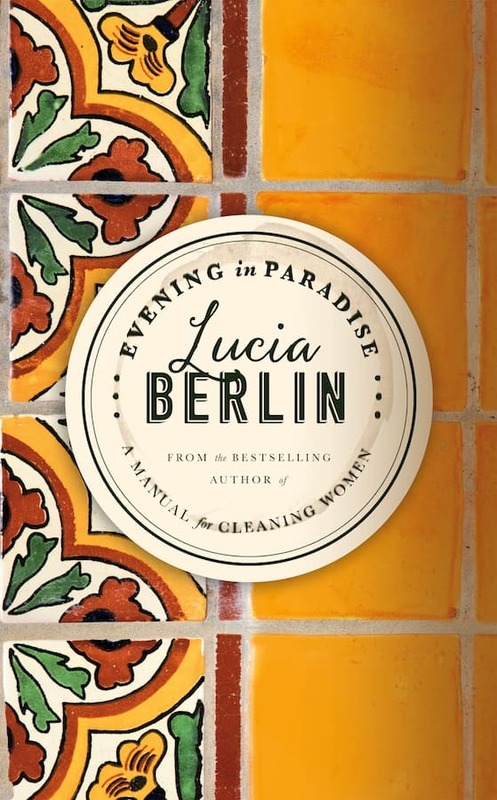 The book jacket of Evening in Paradise: More Stories assures us that the collection is “a careful selection from Lucia Berlin’s remaining stories – a jewel-box follow-up for her hungry fans”. While “hungry fans” there may be, the expression would be better suited to viewers of some unfortunate, never-ending Netflix saga. In the context of the work of a deceased writer whose best stories were gathered and published ten years after her death, the vocabulary rings a little false. Ought we really to trawl through every remaining story to cobble together a “new” literary product to satisfy such a perceived demand? The notion of a “follow-up” to A Manual for Cleaning Women is a suspect one, bordering on the absurd. If we were actually dealing with a “jewel box”, the book jacket’s jarring phrasing could be more easily forgiven. However, the stories in Evening in Paradise do not come close to approaching the literary quality of those compiled in A Manual for Cleaning Women. While to go so far as to say that they should not have been published would constitute an excessively precious safeguarding of Berlin’s literary legacy, the claim that they are a “carefully selected” “follow-up” is an extremely audacious one. The stories occupy a peculiar textual position in relation to both the 2015 story collection and to the biographical documents assembled in Welcome Home. Indeed, certain stories in Evening in Paradise read like less well-developed renderings of episodes which had already appeared in A Manual. This is the case, for instance, with ‘The Musical Vanity Boxes’; arguably a more haphazard and dialogue-laden version of a story that was published in A Manual as ‘Silence’. By comparison, ‘The Musical Vanity Boxes’ is roughly hewn. The prose is unmeasured and the story remains fixed on the anecdotal unraveling of the young girls’ experiences selling musical vanity boxes. In contrast, ‘Silence’ leans effectively on the weight of the narrator’s loneliness, fleshing out more fully her relationships with her family, and the “Syrians and Uncle John”. It may well be a pointless critical exercise to attempt to establish the order in which these stories were written and their relationship to each other. However, it is hard not to draw conclusions from the narrator’s formerly opaque pronouncement in ‘Silence’ that “I have told you about Sammy and the cards”, and perhaps equally hard not to wonder whether it might have been better if the first rendition of Sammy and the cards had indeed remained an enigma. If, similarly, Evening in Paradise’s ‘Noel. Texas. 1956’ reads like a preparatory sketch for A Manual for Cleaning Women’s ‘Tiger Bites’, other stories in the new collection form more complementary reference points to stories from A Manual. Although people talk, as though it were a new thing, about the form of fiction known in France as auto-fiction (“self-fiction”), the narration of one’s own life, lifted almost unchanged from the reality, selected and judiciously, artfully told, Lucia Berlin has been doing this, or a version of this, as far as I can see, from the beginning, back in the 1960s. Berlin’s writing can be understood to participate in the same irreverent, ludic attitude towards autobiographical material as Marguerite Duras in The Lover, exemplified by Duras’ explicit, offhand narrative tinkering: “This particular day I must be wearing the famous pair of gold lamé high heels. I can’t see any others I could have been wearing, so I’m wearing them”. The precepts of such auto-fiction pose a challenge to the empirically-minded reader in search of historically verifiable narrative and experientially “truthful” truth. However, appearing as they have in the same year (2018), it is interesting to trace the overlaps between the two texts, and to consider the ways in which episodes related in Welcome Home are worked through in those “remaining stories” now cobbled together for Evening in Paradise. 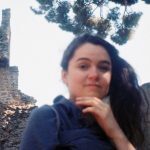 If the “new” stories do not always feel entirely polished, they can be seen to combine elements of the type of interest particular to the forms of the memoir and of the short story collection respectively, allowing us to appreciate the motions of a literary mind bumping up against its raw material. Certain stories in Evening in Paradise, such as ‘Andado: A Gothic Romance’ and ‘The Wives’, are wildly, childishly experimental, providing fascinating examples of an unabashedly playful approach to genre. In the “Gothic Romance”, an unchaperoned trip to a luxurious estate in Chile involves the narrator’s deflowering by the dastardly “Don Andrés”, a carriage collapsing into a river, and a servant girl’s affair with the socialist son of the lord of the manor. If Decca was always set onstage, in that great chair, her hair in the lamplight shining, Laura was particularly good at entrances. She stands, elegant and casual in the doorway, wearing a floor-length Italian suede coat. While ‘Andado’ explicitly announces itself as a “romance”, it is much harder to resist melting into the romance of ‘The Wives’, and the prosaic mirth of the two women’s eventual, drunken stumbling into bed together. At the Pony Bar I remembered feeling as alien on the green grass as I did on the bar stool next to the biker. He had hinges tattooed on his wrists, at the bend of his elbow, behind his knees. 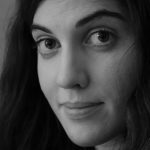 The effect hinges on the ambiguity of the “screw”; on the hinge in the story, on the abrupt shift of location that allows the narrator to confess feeling “alien”, whether in the country club or next to a biker in a bar in Oakland. In comparison with ‘Macadam’, however, the loneliness is more flatly stated; the apertures for readerly conjecture and imagining are significantly restricted. Overall, it is hard to shake an awareness of how much the stories in Evening in Paradise fall short of the standard of A Manual for Cleaning Women. 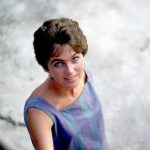 However, while it may be true that the idea that we are being treated to a “carefully selected jewel box” feels like an unsubstantiated publisher’s claim, on the other hand, there is no denying that for anyone interested in the mind and writing of Lucia Berlin, the new stories constitute a curious and exciting textual middle-ground between the 2015 story collection and the 2018 memoir-project.